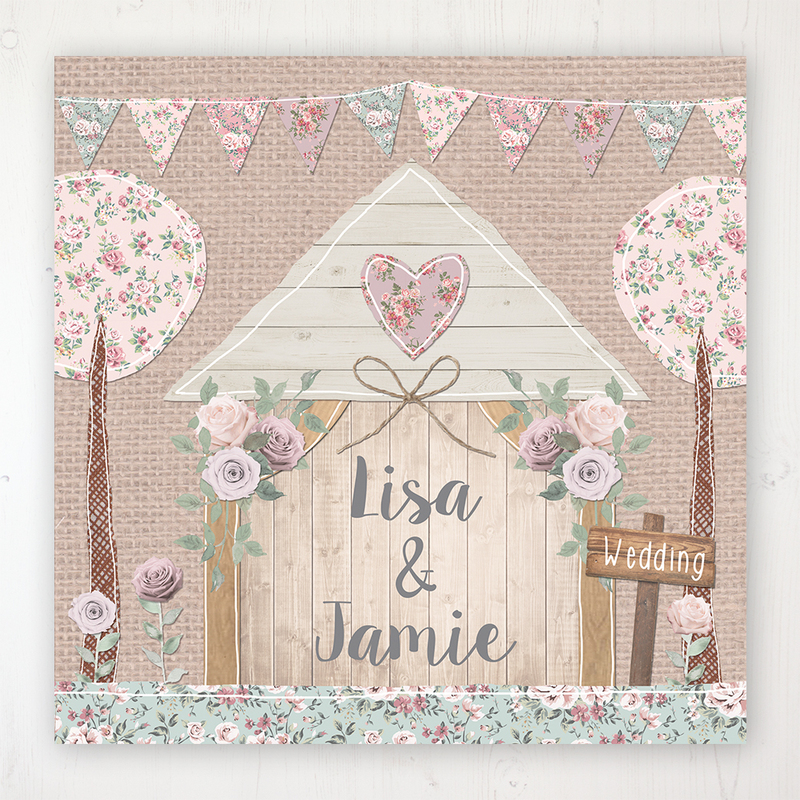 Wedding invitation sample pack including an RSVP, info card, string and tag, envelope and label in the Rustic Barn Collection design. Beautiful oak beams adorned with flowers and foliage, wood cladding textures and of course, some bunting. 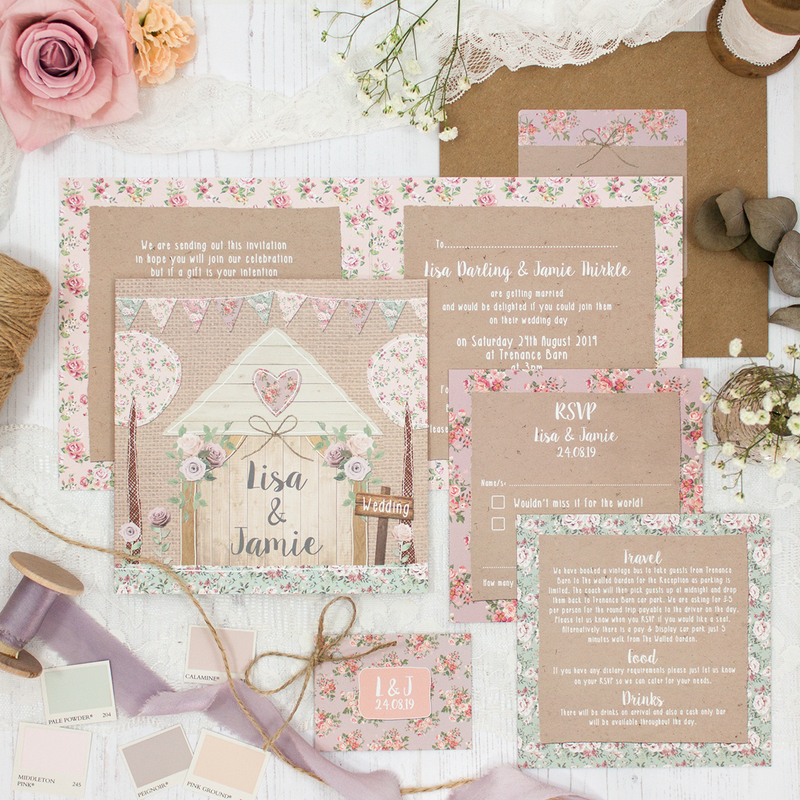 An overall pastel tone to sit perfectly alongside soft colour schemes. This collection has also been chosen by couples getting married under a wooden garden structure.